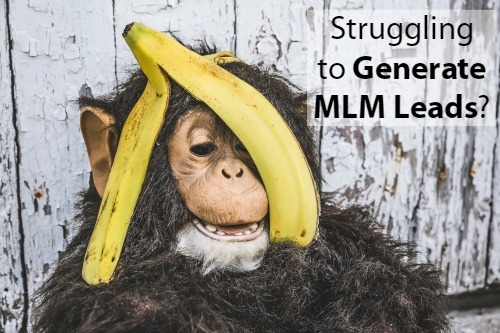 Are you struggling to generate MLM leads? Every network marketer has the same challenge. That is, how to get a consistent flow of home business leads. Today I want to share with you the marketing strategy I use to generate free leads for your business. Struggling to Generate MLM Leads? Even if you are new to MLM, you can learn these strategies and start implementing them to build your network marketing contact list. Leads are what will keep you in business in the long run. Without MLM leads you don’t have a business. I have some proven ways that you can use to generate MLM leads for your home business marketing. Not all leads are good ones! Focus on quality leads. Low quality leads will only results in low conversions. That is, they have no real interest in your offer. Many network marketers don’t see the connection between blogging and their MLM business. Blogging is a key strategy to bring in an endless flow of quality MLM leads. When you put quality blog content out on the Internet, people will be looking for you. It’s called attraction marketing. People will come to you because they are already looking for what you have to offer: the solution to their problems! I get MLM leads every day through blogging. I also get new customers and business partners! I still earn income from blog posts I wrote in 2009! Believe me, it feels pretty good to wake up to new customers! You can learn how to do this too. In fact, you should check out the new blogging platform from MLSP. They have created an amazing training portal where you can learn what you need to know for success. Click here to learn more. YouTube is becoming the main network where people search for information. It makes sense that you should be there too! If you have a smart phone, you can create content for YouTube! Once again, people are online all day searching for everything you can imagine, including freedom in their lives. YOU have the solution – your products or business. Video provides you with a way to get in front of countless numbers of people who find your videos. What a great way for prospects to get to know, like and trust you. When you generate MLM leads with YouTube videos, the chances are high that you will have a quality lead. As you create and publish content, you need a way to capture the names and emails of those people who have an interest in your offer. This is where a capture page comes in. Create an offer like a free download or special webinar in exchange for their email address. Not sure what to offer? Check out MLSP where you can find many offers as well as the ability to create capture pages in just a few minutes. Now you are building a list. The goal of having a list is to convert your leads into customers or business partners. You do this by creating email campaigns that you send to your email list on a regular basis. I hope these methods to generate MLM leads give you some ideas of how you can create an endless flow of home business leads. Whatever strategy you choose, make sure you are consistent. If you are still struggling to get leads for your MLM business, click here for my six-figure blueprint.